Up to 14 million tons of plastic are dumped into our oceans every year: from two-mile-long fishing nets to the microbeads in our toothpaste to everyday items like plastic bottles, bags, and single-use plastic straws. These plastics are polluting our oceans, threatening our food supply, and harming and even killing sea turtles, whales, seabirds, and other marine life. But there’s something we can do about this. The California State Legislature is considering an important bill to prohibit dine-in restaurants from giving out wasteful and destructive plastic straws, except upon request. 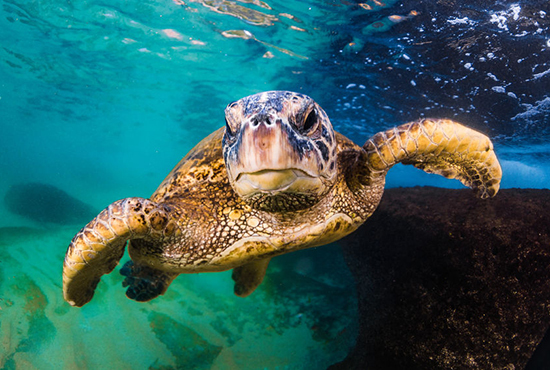 Tell your state senator to help tackle plastic pollution by supporting AB 1884. Tell your state senator to help reduce the use of plastic straws in California by supporting AB 1884. Dear California State Senator: I'm writing in support of AB 1884 by Assembly Members Calderon and Bloom -- a bill that would reduce plastic pollution in our oceans, waterways, and communities and help protect marine life. This important bill would require dine-in restaurants in California to stop giving out single-use plastic straws, except upon request by customers. This bill gives concerned consumers like me the opportunity to cut down on plastic consumption and litter, one straw at a time. I'm concerned to hear that every year we dump up to 14 million tons of plastic into our oceans. We must do something now -- I will not sit by and watch our oceans become vast soups of floating garbage. California has led the movement to ban single-use plastic bags and microbeads in personal care products -- and now, we must take action to cut plastic pollution by curbing our overuse of plastic straws. Thank you.